A familiar face will take the reins of control at Prince Edward-Lennox and Addington Social Services (PELASS) during a period of increased public focus. On Wednesday, Lennox and Addington County council affirmed that Walter Burt will become acting director of the association, replacing Marlynne Ferguson, who left PELASS for alternative employment. Burt had worked with the agency for 10 years and had been serving as its Ontario Works manager. Though one might look at the current climate with an affordable housing crunch in both communities and increasing awareness of poverty as a good time to leave the business, Burt elected to put off retirement to help PELASS as it seeks a permanent hire. “I’m excited about both. 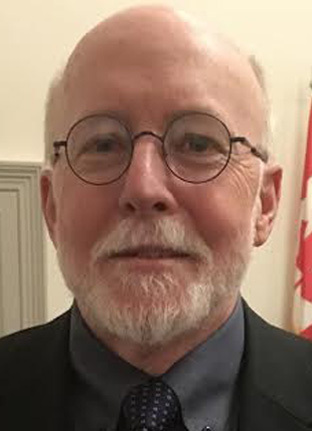 Retirement is still not far away, but this is kind of a neat situation in the last part of my career to actually serve as director,” said Burt, who spent most of his 35-year career in municipal social services, including a previous stint in Hastings County in supervisory positions. Burt says his interest in social services goes back to a time when he was working in the trades. He recalled meeting his wife, who was a member of the Salvation Army Church in Belleville. He found himself intrigued by the church’s social ministry and felt called to that sort of work. “A few years after we were married, I decided to go back to school and prepare for some kind of employment in the social services,” he said. Not long after, the church’s family and community services director resigned and he approached Burt to see if he wanted the job. He worked with the Salvation Army for three years until he started working for Hastings County. Even now, though he doesn’t have a chance to work on the front lines as often, Burt says he’s driven by the same thing he was when he started his calling: A desire to help those in need. A leadership role just provides the opportunity to offer that care on a wider scale. Even when retirement comes, Burt said he’d like to volunteer with some of the community based organizations PELASS partners with now to keep his hand in helping. Looking forward to his new role, Burt said it shouldn’t require too much adjustment. He has been directly involved with the relocation of precariously housed individuals from a Dairy Avenue trailer park in Napanee and is very familiar with that file that has drawn widespread media attention. Burt said he’s been impressed with the way the community has reacted and supported PELASS as it worked to rehome people in that trailer park and to start the warming centres that opened this week for homeless people to escape winter’s chill. He said he isn’t as familiar with the strategy to provide affordable housing in Prince Edward County, but noted he knows the need exists across PELASS’ area. Burt said he’ll continue to split his time in both counties to direct the department. Traditionally, he’s spent more time in the Napanee office and he expects that will continue but he’d still like to ensure he’s in the Picton office at least one day a week. Lennox and Addington County chief executive officer Brenda Orchard told the Beaver that Burt is well suited to take on his new duties. Orchard said recruitment for a permanent director will start in January.